"Nightshifters are proud to present the latest EP by one of the world's most exciting new producers: AC Slater! Named by both XLR8R Magazine and Beatport as one of the artists to watch in 2009, his tracks have been finding their way onto radio playlists on stations like UK's Radio 1 and Kiss 100, and into DJ sets of people like Sinden, Moby, Crookers, Drop the Lime, and Steve Aoki. 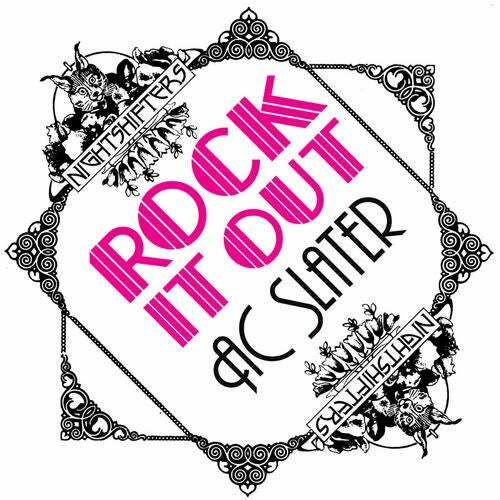 ""Rock It Out"" is AC Slater's follow up to the chart topping ""Jack Got Jacked"" EP released in fall 2008. Rock It Out comes loaded with 4 massive tunes with 2 major remixes. "No Party For Old Men" is a wikkid Brooklyn-bass smasher, "Night Shift" will keep 'em up till 8am, "Rock It Out" is a proven crowd pleaser and "Hello" is a dubstep tune to be ranked up there with the kings of the scene! Remixes of the title tune by London's Scott Cooper who slows it down and gives it a funky clean feel and Chicago's club price, Rob Threezy who gets down and dirty with the bass!"